Intelliswift Recruitment Drive in Chennai | Software Developer Jobs For Graduates | 2nd December 2017. Intelliswit has released latest Job Openings in Chennai for experienced candidates. The Intelliswift is looking for the experienced candidates who are having good knowledge on Teradata Developer positions. Intelliswift Careers is the great opportunity for the people who are passion to work in winning environment to enhance the developing skills. Postulates must have minimum of 4-9 years experience of previous related professional knowledge and experience. Salary INR 5,00,000 – 15,00,000 P.A. Candidates those who are facing the competition must have 4+ years of strong experience on Enterprise Data Warehousing / Data Mart and other relevant skill s as given below. Graduation in any discipline is mandatory for Latest Intelliswift Job Openings. So the applicants who had selected in the selection rounds they will be allotted as Teradata Developer position with good pay scale remuneration. To crack the competition the individuals should check Intelliswift Interview Questions from our blog All India Jobs. Before going to face the competition the aspirants can approach the Intelliswift official website to avoid further complications. If want to get settle your career in Intelliswift Recruitment the candidates must practice Intelliswift Placement Papers and Test Pattern for reference purpose. So by preparing according to the interview questions and model papers there is chances to qualify the written test with top marks conducted by Intelliswit. The final result of Intelliswift will be announce by the higher officials to continue for the further rounds. 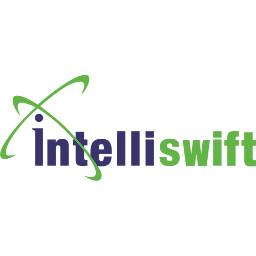 Scroll down this page to see more details about Intelliswift Walkin Interview. 4+ years of strong experience on Enterprise Data Warehousing / Data Mart. Having 4+ Years of hands on experience in Teradata, Informatica and Bteq. Should be very good in troubleshooting, ETL design and solution knowledge. Teradata & Hadoop certification is a plus. Must be very good at SQL tuning, re-engineering and data recon. Should have good communication skills, must be a Team Player. Should be ready to take up challenges and new tasks. Mandatory Skills & Certifications in Teradata, Informatica, Shell scripting, SQL tuning. Intelliswift Software Inc. is a premier software solutions and services company headquartered in the Silicon Valley with a commendable track record of delivering results for over 300 brands among the Fortune 500 companies. Growing at an outstanding pace Intelliswift has been awarded recently as the 2nd largest private IT Company in the East Bay. Intelliswift enterprise clientele includes leading companies like eBay, PayPal, CISCO, Apple, Sony, Cisco, Oracle, GAP &amp;amp;amp; many more. Apart from augmenting our client&amp;amp;rsquo;s niche staffing requirements, our offshore capabilities include Quality Assurance, Mobility/Collaboration, Big Data/BI, Enterprise Applications, Web Crawling services &amp;amp;amp; Cloud services. Driven by strong belief in long-term client relationships we are committed to consistently deliver value. We are determined to collaborate and innovate in ways that truly matter for achieving our Clients&amp;amp;rsquo; success. We have instilled this culture of agility in the way we do business. Intelliswift is conducting Walkin Drive in Chennai location for the role of Software Developer vacancies. Willing competitors can attend direct walkin for Intelliswift Recruitment at the below mentioned venue. The provided notification details of Intelliswift Walkin Interview is suitable for the graduate candidates as the Software Developer Position. So candidates utilize Inteliiswift great opportunity by attending the interview on 2nd December 2017.